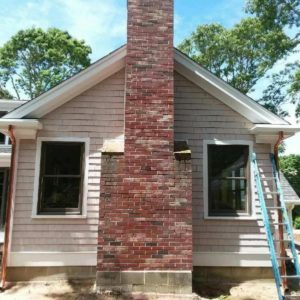 I just completed my first FiberGutter installation and I am pretty sold on the product. I am not a gutter guy but a tinkerer in exterior home improvement. 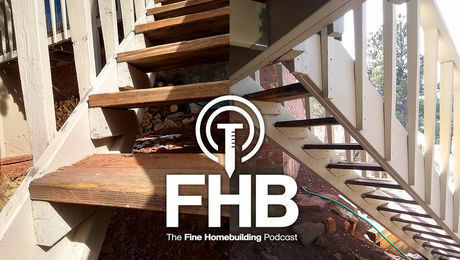 I was reluctant to use the product when I saw it at my lumber yard but the sample seemed really durable and it had the old wood look I was going for. I watched their install video which actually made it look more difficult than it was. I did only the back of my house and it took me about 3 days for 100 feet including downspout and minimal help. It is nice to be able to screw right into the back and have no hangers. Now I just have to figure out if they will ship to my Florida house. Has anyone else used this product? I've never used it. It would almost have to be better than any of the plastic or metal versions I've used over the years. But what does the stuff cost? Very nice! 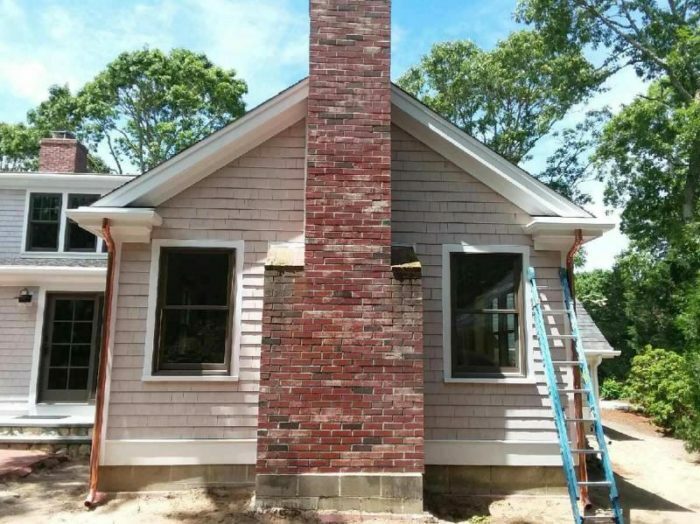 Looks more like an architectural detail to the facia than a gutter. 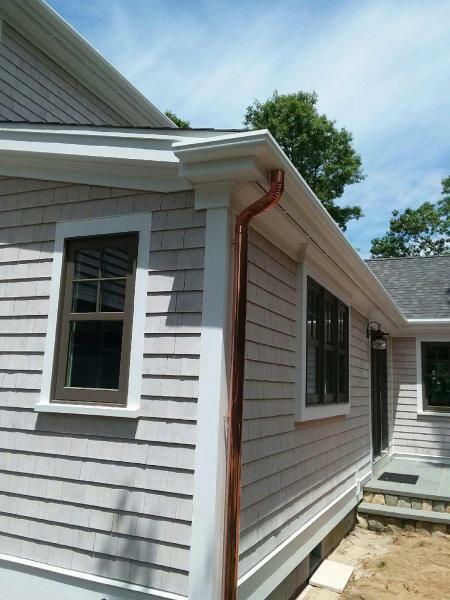 I really like the copper down spout too. How much per foot? Fiberlgass gutter is junk. In just a few years the sun will degrade it to the point that it will delaminate and come aprt. 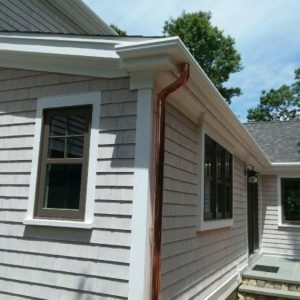 Standard aluminum gutter can be installed in any length at very low cost by dozens of gutter installers almost anywhere. Gutter is one of those things that just isn't worth doing yourself. I thought the same thing until I looked into this product further. It has a 50 year warranty and has already been in the Boston market since early 2000's with zero issues. There is some sort of protective coating throughout the entire product with UV protection and it is 3/16" thick. I also got 40' lengths delivered. I look out in my driveway and see my 1974 center console powerboat which is built the same way. It hasn't delaminated yet. I thought the install was pretty easy too. I just hung it at the same time as the fascia. I am semi retired so I don't plan on making this a living but I am installing this product on my neighbors house next week.